When you have to replace a window in a hurry you need a company you can trust. Camberley Glass and Windows have been supplying glass and glazing products to customers in Fleet, Hampshire, Surrey and the surrounding counties for almost 50 years. We began as a family run group of businesses in 1965 and have now branched out into all types of glass and glazing solutions. We have retained the ethos of those family run companies in our customer care, professional approach and attention to detail. Indeed much of our work comes from personal recommendation. We are proud of the testimonials to the service we provide and also of the high ratings we have gained on Checkatrade. We are also on the Buckinghamshire and Surrey Trading Standards Approved list of traders. We are one of the best companies in the country for product knowledge about the glass and glazing industry. We have a fully qualified team of professionals who are knowledgeable about all aspects of current requirements and regulations, and are FENSA registered. We are ready to take on any job no matter what the size or difficulty. Camberley Glass and Windows offer a large range of windows in many different styles, materials, textures and finishes and can provide whatever window furniture and size of windows you wish. 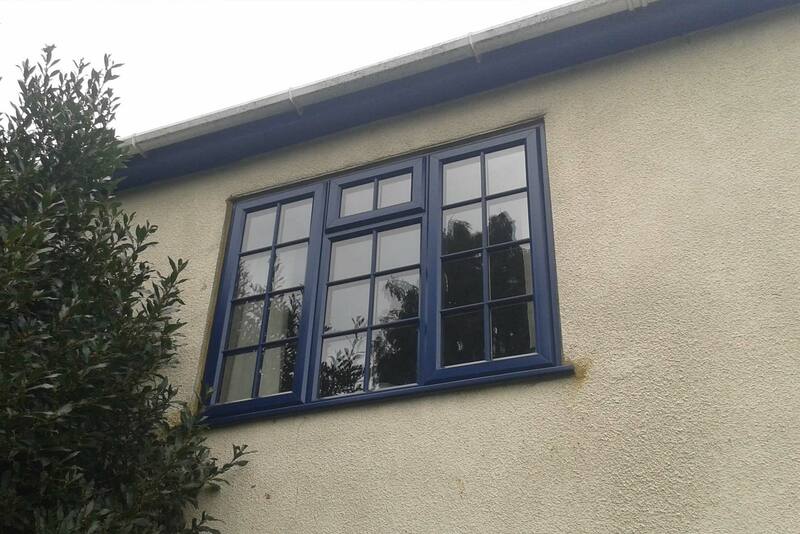 Our windows are of the highest standards for reliability, security and energy conservation, and all our double glazing and glass installations are backed with a fully insured guarantee. If you need a reliable glass and glazing company, Camberley is the company to chose. We have showrooms at our offices in Camberley, Surrey, so give us a call. Our advisers are on hand to make your replacement window solution as easy as possible. We do not use gimmicks or pressure selling, only honest, helpful advice.